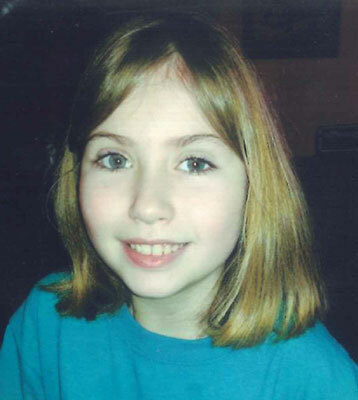 AUSTINTOWN - Chloe Ann Cox, 12, died on Sunday, Oct. 5, 2014, at Akron Children’s Hospital at 10:51 a.m.
She was born on July 19, 2002, in Youngstown, the daughter of Joshua William and Jean A. Heckathorn Cox Sr.
Chloe was a student at Austintown Middle School, where she participated in the choir. She was a cheerleader, and a girl scout. She liked to horseback ride and play challenger softball. Some of her favorite things were her animals, Taco Bell, chocolate, and fried pickles from Quaker Steak and Lube. Chloe, along with her family, are members of the Upper Room Ministries in Austintown. Survivors include her parents of Austintown; three sisters, Cinda-Jean M. (Cody Saunders) Cox of Austintown, Billie Jo E. Cox of Akron, and Sierra R. Cox of Austintown; one niece, Gabriella Saunders of Austintown; grandparents Garry and Cinda Cox of Youngstown, and Jean and Lawrence Grbinick of Youngstown; and many aunts, uncles and cousins. Those that have preceded Chloe in death were her grandfather, William Heckathorn, and her brother, Joshua William Cox Jr.
Funeral services will be held at the Lane Family Funeral Homes, Austintown Chapel, at 11 a.m., Thursday, Oct. 9, 2014, where Pastors Steve W. Zawilinsky and Chris “Fishy” White will celebrate Chloe’s life. Family and friends may visit from 5 to 9 p.m., Wednesday, Oct. 8, 2014, at the funeral home. In lieu of flowers, memorial contributions may be given to the family to offset medical bills. Chloe will be laid to rest at Green Haven Memorial Gardens. Please share your memories of Chloe.